Sometimes it is good to be given books you’ve not specifically requested. If I’d seen the first The Colours of Madeline book in a shop or a library, I would’ve picked it up due to Jaclyn Moriarty’s name, but likely put it back down again when I read the blurb and realised it was fantasy. If I’d done that, I’d have missed out on reading an amazing series. The first novel, A Corner of White, was a lot of fun. ‘Quirky’ is the word that seemed the best way to describe it, and the reviews I’ve read show that I wasn’t the only person to feel that way. With The Cracks in the Kingdom, however, I think the series has developed into something much more than quirky. It’s moving and exciting and intriguing, and I often found myself torn between wanting to rush through the pages to find out what would happen next – and why – and wanting to take things slowly, so that I could really appreciate the language and Moriarty’s great grasp of both character and style. 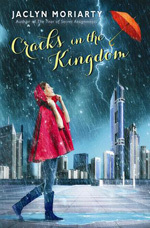 Although The Cracks in the Kingdom is the second book of a trilogy, it didn’t feel incomplete. There are still things left unfinished and questions left unanswered, but I didn’t feel cheated, because it still read like a complete novel, with enough resolution to counter the loose threads. That said, I’m still going to be grabbing the next book as soon as I can get my hands on it – not only because I want to find out what happens, but also because I’m pretty certain that I’ll be guaranteed a jolly good read. The Colours of Madeline is an excellent example of just how good YA can be when it breaks away from carbon-copy fads and finds its own voice and concept in the hands of a talented author. It’s nice to know that I don’t have to say goodbye to Cello just yet. Although I haven’t read the first two books in the Pandora English series, I didn’t struggle at all with picking up the premise and the universe. 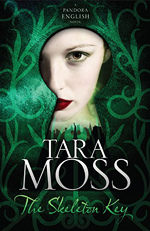 Tara Moss creates an interesting world full of all the usual paranormal types, and manages to avoid the same-old-same-old trap. There are vampires – sorry: Sanguines – here, but there is a refreshing lack of uniformity when it comes to their characterisation. Deus (whom I loved) is a very different character to the undead supermodels who plague Pandora’s existence. One of the things I liked most about The Skeleton Key was the humour that marked the narrative and the character voice. There’s a healthy sense of irony here, and that makes the occasional genuinely creepy moment stand out even more. The key villain of the novel is suitably discomforting and, while Pandora largely operates on instinct and employs extreme powers she doesn’t fully understand, I didn’t find this annoying. Her resignation to her responsibility as the Seventh and her commitment to doing the very things she doesn’t yet know how to do somehow made up for the relative ease of her achievements. Pandora is nineteen, and The Skeleton Key very cleverly walks the (fading) line between young adult and adult fiction. There are no pubescent dramas to distance the book from adults, and there is nothing within its pages that could be considered too ‘old’ by younger readers (or their parents). The idea of crossover appeal is often thrown about these days, but I think it’s an apt descriptor for this series. 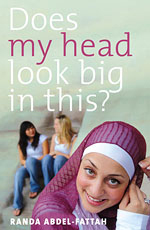 I have to say, though, that my hopes for Does My Head Look Big In This? weren’t entirely met. I think the main issue for me was that it felt extremely fragmented. It was like the author wanted to deal with a hundred different plot points and, instead of choosing a few to concentrate one, decided to put them all in. 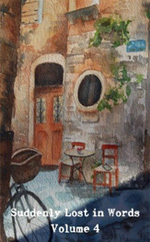 Because of this, everything felt a little shallow and unfinished. There was so much room for conflict and resolution in many of the plot points raised (for example, the whole Amal/Adam storyline, which gave a wonderful opportunity for Amal to confront temptation and examine the reality of her choices, but instead just kind of flopped), but even the dramatic story surrounding Leila and her family felt rushed and a little forced. In the end, this meant that I liked this book a lot more for what it represents than what it actually is. I think it’s so very important that teenagers of all races, cultures and religions feel represented in mainstream fiction. As a work of fiction, however, it left me feeling decidedly apathetic. I was obsessed with the first Pugwall book in upper primary school. It’s only very recently that I’ve come to terms with the fact that I lost my copy after one of my school friends borrowed it and never gave it back. I managed to keep hold of my copy of this sequel, however, although I hadn’t read it for nigh on two decades by the time I picked it up recently, and decided to give it another try. As a kid, I never liked Pugwall’s Summer anywhere near as much as the original. As an adult, it’s a little hard to compare the two, given that it’s been so long since I read Pugwall, but I think I can guess why. Pugwall’s Summer doesn’t have quite as much heart as I remember the original having. There’s plenty of action here, and some great interactions between Pugwall and Marmaloid, his annoying little sister, but I didn’t find myself becoming very invested in the characters. I think part of the reason for this was the fact that I loved the growing friendship and then romance between Pugwall and Jenny in the first book, but Jenny seems like a completely different character here. Something that was a big focus of the original is just discarded in this one, as though it were unimportant, and that didn’t work for me at all. 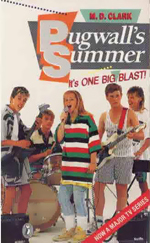 What did work, however, was the brilliant late-eighties-Australia nostalgia that Pugwall’s Summer promotes. There’s slang in here that I probably haven’t used since primary school, and reading the novel feels like going back in time to that era. It’s set in Geelong, with lots of talk of nearby coastal towns, like Torquay, and there’s even a school excursion to Melbourne. Any Australian child of the eighties will enjoy the reminiscent aspect of the book. Re-reading Pugwall’s Summer doesn’t make me any less keen to one day get my hands on a new copy of the original. I’m not sure I’ll revisit this one again, however. Instead, I think I shall head over to YouTube to watch clips of the television show based on these books – which was one of my favourites, back when it first aired. I’m not sure I’m sciencey enough for Loving Richard Feynman. You see, it’s a fairly standard contemporary novel for young adults, with mild coming-of-age themes, made different due to the protagonist’s love for science and unique crush on a long-dead physicist. While I loved mathematics in high school and would very much have enjoyed the maths competition that Catherine takes part in, I never had the burning urge to study physics or to become a scientist when I grew up. So, in that sense, the thing that makes this novel different to the many others dealing with similar family and social issues is not a thing that resonates with me at all. Therefore, it felt a little samey to me, I’m afraid. On the up-side, Loving Richard Feynman is delightfully Australian. There’s never any doubt that it is set in country Victoria – with a brief Melbourne visit thrown in. 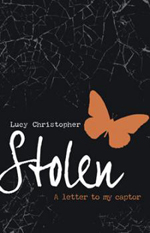 I do enjoy YA fiction set in Australia, so the setting was one of my favourite aspects of the novel. Catherine is a realistic protagonist, if not always a completely likeable one. She’s very self-conscious and not always very nice to her friends and the rest of her classmates, but she has a strong voice and her quirks are cleverly portrayed. As someone who wallpapered her room with posters of Guns n’ Roses in my teens, I was particularly amused by the thought of Catherine’s most important decoration being a poster of the man who helped create the atom bomb. I think Tangey did a good job, also, of showing how Catherine hides behind her differences when it comes to dealing with her peers. While Loving Richard Feynman will not be a book that sticks in my mind forever, it’s a capable piece of writing and a light novel that should please lovers of Australian YA who are looking for a quick contemporary read. 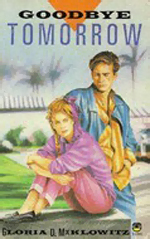 I enjoyed Goodbye Tomorrow when I first read it as a teenager. I knew a lot less about HIV and AIDS back then and I wasn’t so political a reader, so it was interesting to revisit the novel with an adult and modern perspective. I think that Miklowitz had very good intentions when she wrote Goodbye Tomorrow, bringing the facts and emotions of AIDS to a young adult audience. In the end, however, the book lacks heart, and now feels extremely dated. One difficulty is the fact that the novel is written from three different first person perspectives – those of Alex, his sister and his girlfriend. These perspectives change often and, while they do allow Miklowitz to show the reactions of different people to Alex’s diagnosis, they leave the reader feeling rather disconnected from the characters. My greatest issue with Goodbye Tomorrow, however, was the way the novel deals with the connection between HIV/AIDS and homosexuality. There are far too many gay “jokes” here, and there’s no real justification for them. The overall moral of the novel seems to be that good people can get AIDS too – not just gay men and drug users – so it’s wrong to be prejudiced against people who suffer from the illness. There’s even a startling statement towards the end of the book about how it’s likely that fifty per cent of gay teachers (and, presumably, all gay men) are HIV positive. Goodbye Tomorrow may have been ground-breaking and important in 1987, but unfortunately it hasn’t aged well. The way the novel represents homosexuality and the dated facts it conveys combine to make it a novel that is no longer relevant in 2012. 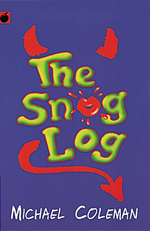 I’m afraid I just couldn’t like The Snog Log. Sure, it ends in a place where the male protagonist, Robbie, has finally started to realise that it’s not exactly a nice thing to do to turn his female classmates into objects, but there’s just not enough bite to the resolution to make up for the way the female characters are portrayed and treated for the rest of the novel. I think part of the problem lies in the way that Mel is depicted. She’s not quite a co-protagonist, but her journal entries form part of the narrative, and occasionally there will be a confusing switch to her point of view in the main text. The trouble is that her distrust of boys (and men) seems to be included as a parallel to the behaviour of Robbie and his friends. So she is shown to be just as much at fault, because she fails to see that some boys (ie. Robbie) can be capable of good acts, as well as acting up in class and treating girls like crap. There’s a big issue with this. Namely, Mel is right to distrust the boys in her class! They are all using her and her peers as pawns in their snogging bet. They pretend to be interested in these girls, then attempt to dump them the moment that they’ve reached the maximum snogging score. Girls are rated according to how easy it will be to snog them, and constantly discussed solely in terms of their physical attributes. How, then, does Mel’s change of heart serve as an appropriate parallel to Robbie’s startling revelation that perhaps girls deserve to be treated with respect? I think Coleman meant well when writing The Snog Log. After all, there is the attempt at a moral in the end. Unfortunately, however, the novel just didn’t work for me.